The ancient Maya dance drama, the Rabinal Achí, is one of the best examples of surviving pre Columbian culture in Mesoamerica. It was a beautiful Sunday morning in late January when I set out from Guatemala City with an adventurous group of friends for the remote Mayan town of Rabinal in Baja Verapaz. One of the oldest municipalities in the country, Rabinal is located in the western highlands about 125 kilometers north of Guatemala City. Our comfy van made its way easily through dry, desert-like terrain before beginning its ascent into the lush forested hillsides of Baja Verapaz, which is almost entirely surrounded by the Chuacús Mountains. We were on our way to witness the ancient Maya dance-drama, the Rabinal Achí, whose written text dates back to the 16th century. This colorful and performative work is considered to be a rare and one of the best examples of surviving pre-Columbian culture in Mesoamerica. 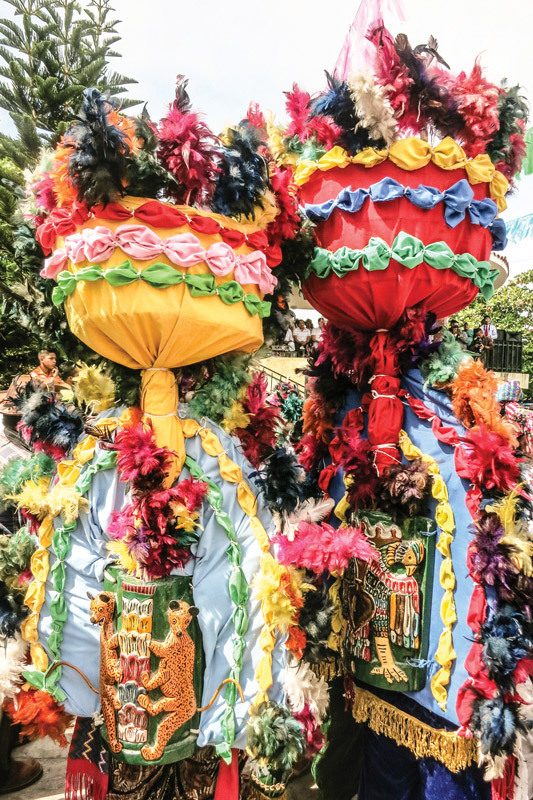 The Rabinal Achí is performed every year on Jan. 25, the feast day of St. Paul, the patron saint of Rabinal, and it is depicted through music and dance by characters wearing elaborate costumes and wooden masks. Lord Ojob’Toj (front center) and the green-feathered mother. The central plaza in Rabinal was bustling with activity when we arrived. 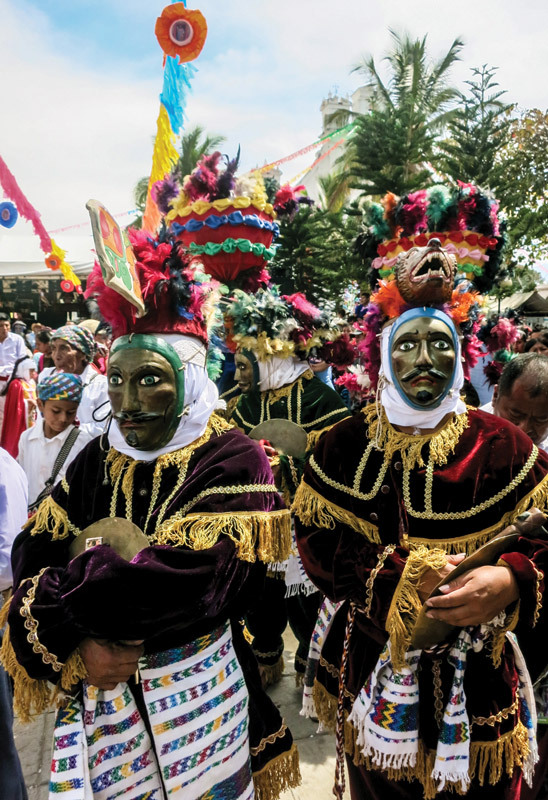 Beginning early in the morning, actors and locals spill out onto the main square dressed up in stunning costume or wearing their finest traje in preparation for the day’s activities, including a desfile or procession. 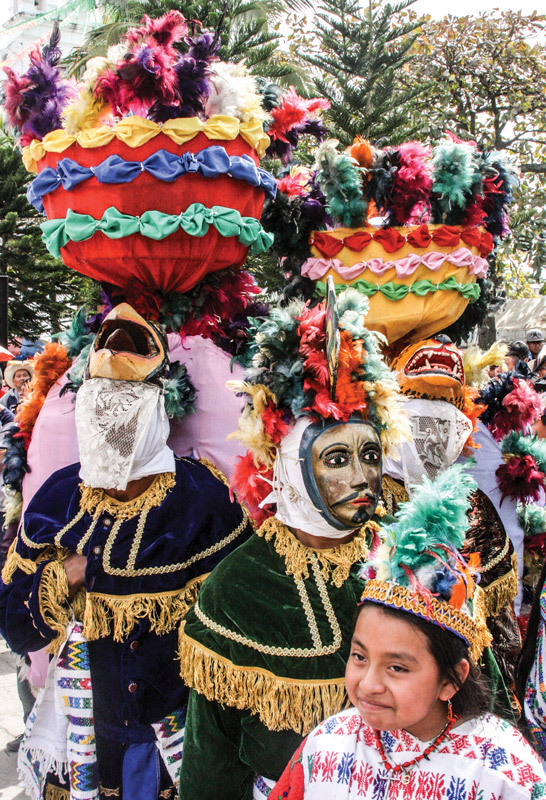 In the distance, the haunting sound of the “tun” drum and a trumpet usher in the dancing characters who will participate in the four acts of this complex ethno-drama that develops over the course of two days. The sheer beauty of the indigenous dress as well as the devotion of the entire community to its pageantry is simply breathtaking. It is clearly an intrinsic part of the residents’ culture, just like the air that they breathe. 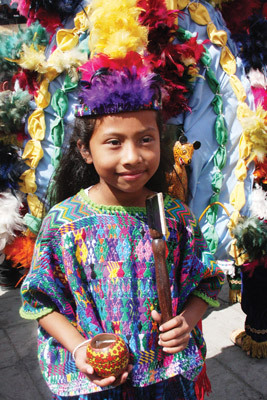 The town of Rabinal is predominantly Achí with most of its population speaking Achí, a dialect of the Maya Quiche language. The name Rabinal literally means “Place of the Lord’s Daughter” in Q’eqchi’. 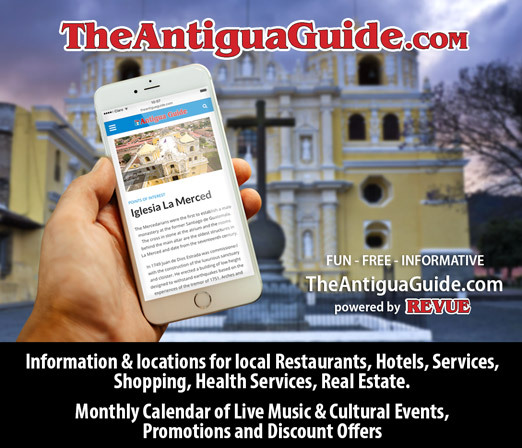 As with most historical drama, there is a conflict involved, and the main characters are two captains and political rivals, the Rabinal Achí and the K’iche Achí. Other characters include the king of Rabinaleb’, Lord Ojob’Toj; Achíj Mun Achíj Mun Ixoq Mun, who has both male and female characteristics; the green-feathered mother, Uchuch Q’uq’ Uchuch Raxon who is also a nuptial princess; as well as 12 eagles and 12 jaguars, representing the elite warriors of the fortress of Kajyub’. K’iche’Achí is ultimately captured and put on trial for attempting to kidnap Rabinaleb’s children, and in the fourth and final act, he is executed by being shot with arrows. According to anthropologist and ethno-historian Ruud van Akkeren, the drama’s historical and cultural significance goes well beyond a mere political conflict in which the execution of K’iche Achí and the victory of Rabinal Achí are depicted. 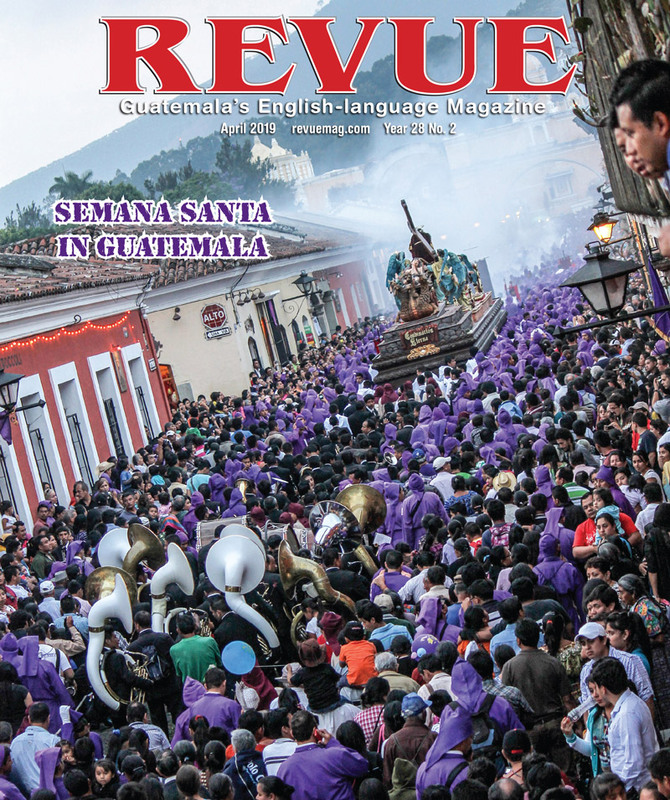 “For some 20 years now, I have been trying to help the Guatemalan audience understand that the political conflict between Rabinal and K’iche is only 25 percent of the original text,” said van Akkeren. He went on to explain that it was not uncommon for the ancient Maya to conflate politics with cosmovision as rulers often sought out the supernatural to enhance or legitimize their position and power. Cosmovision is a specific way of understanding the world, particularly as it pertains to time and space and its ritualized representation by people in Mesoamerica. So much of the Rabinal Achí text is esoteric language that clearly suggests an underlying drama within a drama, which van Akkeren refers to as the Maize Hero. In his book, Place of the Lord’s Daughter, van Akkeren points out that the victim—Ki’che Achí, who is sacrificed at the end of the performance—dies as the Maize Hero, tied to the Iximche’ or maize tree. “Essential aspects of the Maya world view, such as the culmination of a calendar cycle of 52 years, the creation of the sun and the moon, and the myth of the Maize God, are all intricately connected in the Rabinal Achí,” he emphasized. Van Akkeren—whose passion for theater and anthropology inspired him to write his doctoral dissertation on the subject of the Rabinal Achí—lived in Rabinal for several years. In so doing, he came to realize that many of its spectators and inhabitants didn’t fully comprehend the historical context or what was actually happening inside the drama. 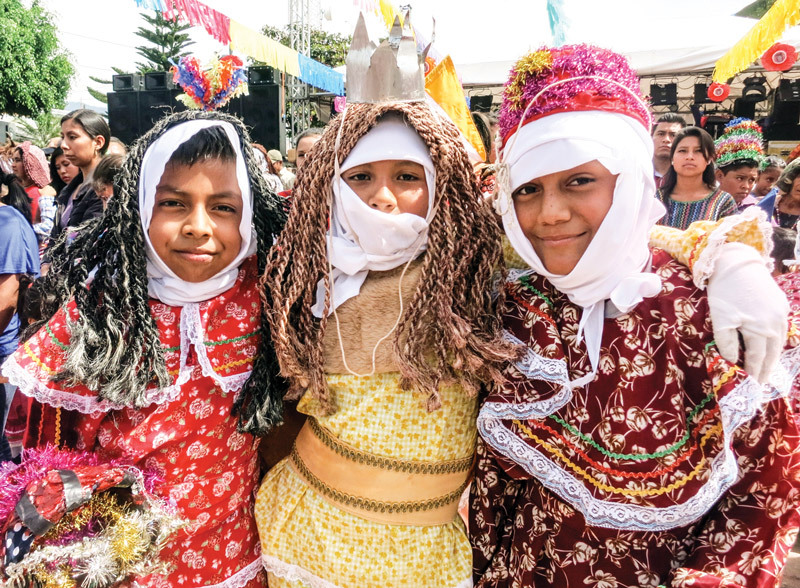 Multiple factors, including lack of interest on a national level and inadequate educational programs, have slowly contributed to the Maya becoming disconnected from their own history and culture. This “disconnect,” as he refers to it, among present-day Maya motivated him to make it his life’s work to revive Maya history together with the Maya people. Working closely with Maya communities, NGO officials, university students and local educators, van Akkeren has for more than 20 years now conducted seminars and field trips and authored written materials on ancient Maya culture, including eight books and multiple articles. 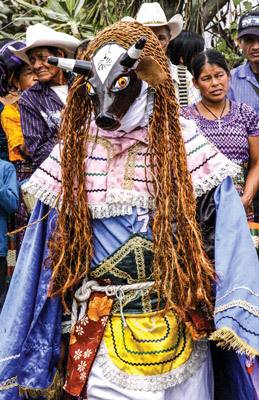 He also participated on a committee together with the Guatemalan Ministry of Culture and UNESCO, which resulted in the Rabinal Achí being declared a Masterpiece of the Oral and Intangible Heritage of Humanity by UNESCO on Nov. 25, 2005. The people of Rabinal are very welcoming of visitors. In addition to the annual performance of the Rabinal Achí, the town is known for its exquisite ceramics and for its production of sweet oranges. PLEASE CONNECT ME WITH SR. RUUD VAN AKKEREN .